The 411 One day while walking down St Denis, I spotted a sign outside saying “Brunch”. To me, this is much like a light house signaling a ship. I meander over, I look at the menu, write down the address and add it to my list of places to review. I wish that weekends were more than two days and I can do brunch all the time but sadly we don’t live in that world so we slowly have to trim down the ever growing list of brunch spots. At 1st GlanceLa Marmite is a quaint little spot on St Denis with a seating capacity of under twenty people. 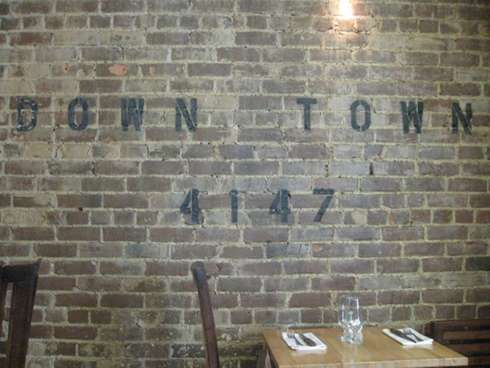 It kind of splits into two and has a nice mix of brick and wood which gives it some nice warmth and character. They do reservations as well, if you need to; although, it wasn’t that packed when we went. Food La Marmite menu follows a formula and by that we mean that you get 5 different options in different price points with similar main items but you get a little more in some options than others. 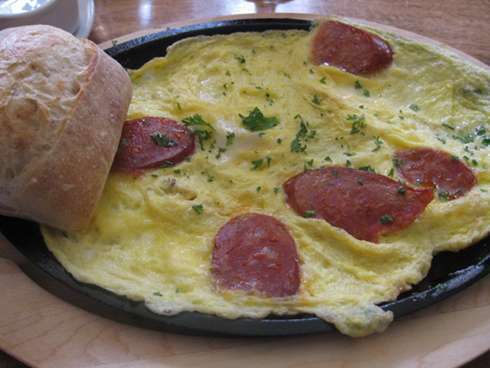 Their menu offers 4 types of omelettes; 3 eggs Benedict; 3 eggs dishes; and a poached egg in some sections. 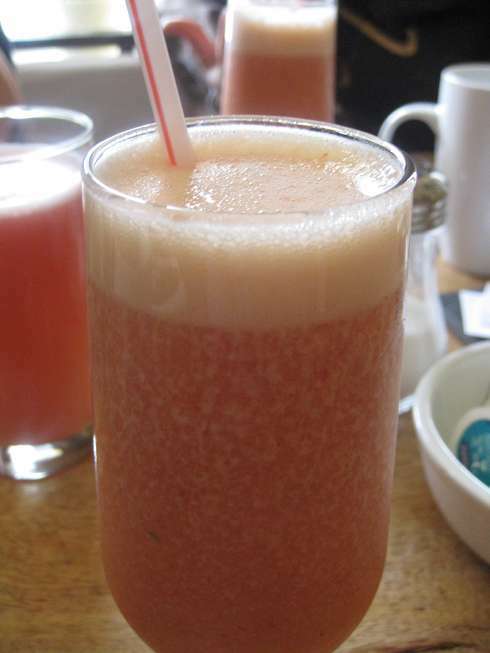 So, you can get the brunch de Marmiton for $25 that comes with breads, jams, premium coffee and one of the above mentioned main dishes as well as a juice of fruit cocktail. There’s also the brunch Boulanger for $10 which gets you breads, and jams, scones and fruit salads. You have brunch de la marmite for $16 and a petit brunch in the range of $10-$12. Our service started with a large fruit plate to share. 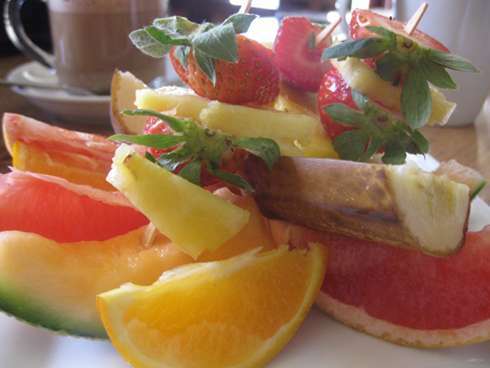 Some fruits were skewered. The presentation was quite impressive and a nice fresh way to start off our meal. We ordered a campagnarde omelette which has smoked sausage and aged cheddar. 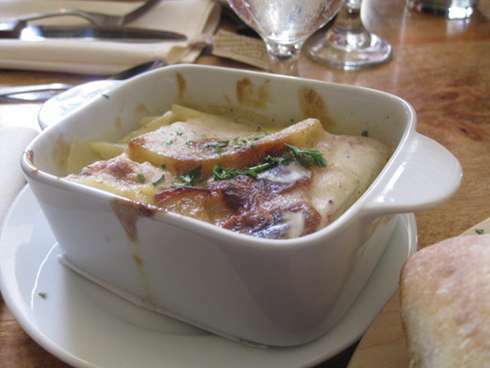 This dish came with bread on the side, as well. The omelette had a nice presentation and the sausage was very tasty. I do wish it was a little larger but the taste was much enjoyed. Next up was the Marmite Benedictine. The flavour paring selected was spinach and goat cheese. 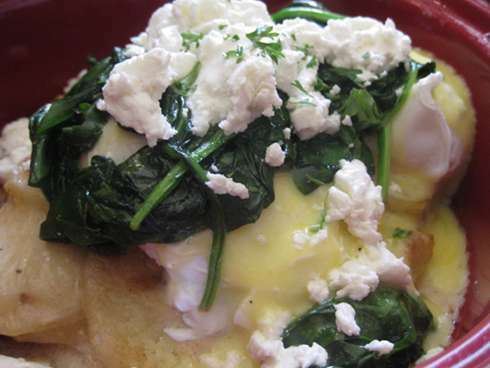 Any dish that combines spinach and goat cheese is alright in my books. The two ingredients work so well together and this dish is actually quite filling since it has some depth in the bowl it is served in. 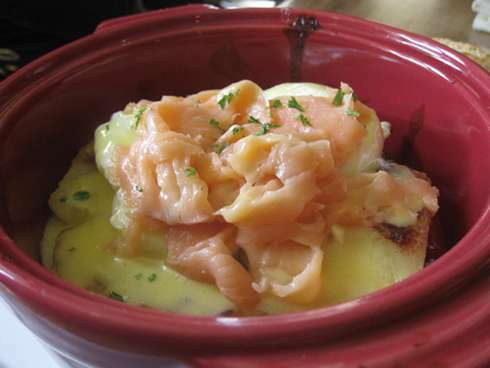 Now just to mix things up we had a marmite with smoked salmon which is similar to the previous dish but with delicious smoked salmon. Once again the portion size did not disappoint and it was quite filling. Service Service was good. Our interaction was limited but they covered all the bases and they were speedy. VegetarianMost dishes don’t have meat so you are safe here; although, there are no real vegan options. Wrap up The dishes at marmite were tasty, the décor was nice and it is a quaint spot. Depending on the option you take, your bill can climb considerably. The combos are a nice touch but the menu can be a bit of pain and is not really intuitive.